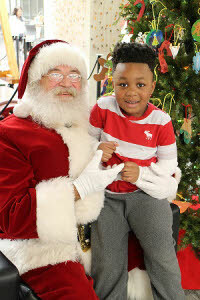 Pre-K students from Chambliss Center for Children visited with Santa Claus Friday during TVA Nuclear’s annual Giving Tree decorating party. 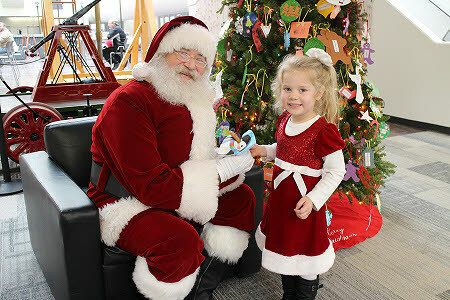 Each year the children from Chambliss Center visit the TVA headquarters to decorate a Giving Tree with ornaments they created. 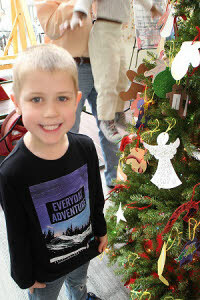 Every decoration adorning the tree has an agency wish list item on the back. For the next few weeks, TVA employees will pull ornaments from the tree and purchase items to be delivered to Chambliss Center for Children during the holidays. 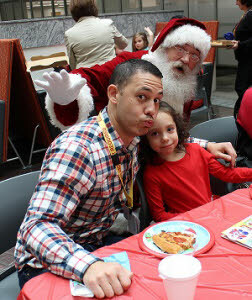 Following the trimming of the tree, the children have an opportunity to visit with Santa and enjoy a pizza party hosted by TVA Nuclear volunteers.